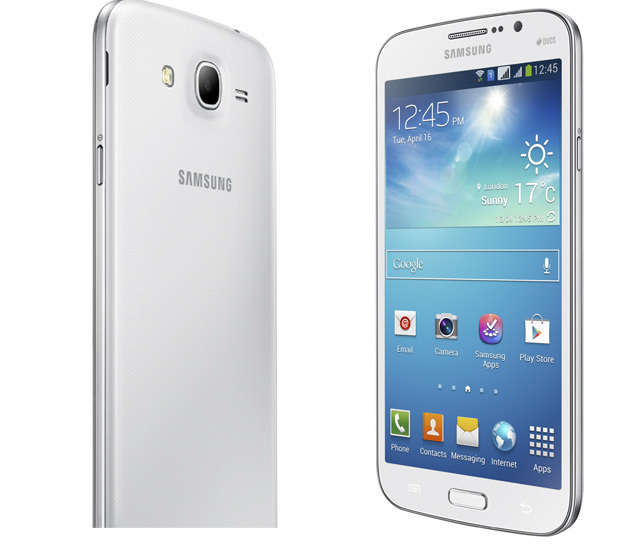 Samsung Electronic announced the Samsung Galaxy Mega 5.8. The Samsung Galaxy Mega 5.8 has 5.8-inch HD Display, 1.4 GHz Dual Core processor, 1.5 GB RAM, 8 MP rear camera and 1.9 MP front-facing camera. The device runs on Android 4.2 Jelly Bean. The Galaxy Mega comes with 8GB Internal Memory and it supports microSD up to 64 GB. The GALAXY Mega 5.8 will be available globally beginning May from Europe and Russia.